"Tycoon" redirects here. For other uses, see Tycoon (disambiguation). "Industrialist" redirects here. For other subjects, see Industrialist (disambiguation). For business magnates in the mass media industry, see Media proprietor. The word magnate derives from the Latin magnates (plural of magnas), meaning "a great man" or "great nobleman". American retailer and founder of company Amazon, Jeff Bezos, who as of April 2018 is the wealthiest person in the world. The word tycoon derives from the Japanese word taikun (大君), which means "great lord", used as a title for the shōgun. The word entered the English language in 1857 with the return of Commodore Perry to the United States. U.S. President Abraham Lincoln was humorously referred to as the Tycoon by his aides John Nicolay and John Hay. The term spread to the business community, where it has been used ever since. The word mogul is an English corruption of mughal, Persian or Arabic for "Mongol". It alludes to emperors of the Mughal Empire in the Medieval India, who possessed great power and storied riches capable of producing wonders of opulence such as the Taj Mahal. Modern business magnates are entrepreneurs that amass on their own or wield substantial family fortunes in the process of building or running their own businesses. Some are widely known in connection with these entrepreneurial activities, others through highly-visible secondary pursuits such as philanthropy, political fundraising and campaign financing, and sports team ownership or sponsorship. 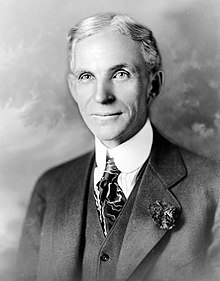 The terms mogul, tycoon and baron were often applied to late 19th and early 20th century North American business magnates in extractive industries such as mining, logging and petroleum, transportation fields such as shipping and railroads, manufacturing such as automaking and steelmaking, in banking, as well as newspaper publishing. Their dominance was known as the Second Industrial Revolution, the Gilded Age, or the Robber Baron Era. 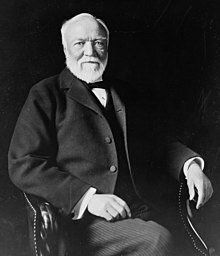 Examples of well-known business magnates in the western world include historical figures such as oilman John D. Rockefeller, automobile pioneer Henry Ford, shipping and railroad veterans Aristotle Onassis, Cornelius Vanderbilt, Jay Gould, and James J. Hill, steel innovator Andrew Carnegie, newspaper publisher William Randolph Hearst, retail merchant Sam Walton, and banker J. P. Morgan. 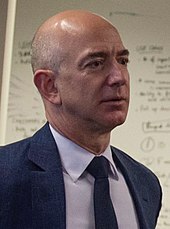 Contemporary industrial tycoons include e-commerce entrepreneur Jeff Bezos, investor Warren Buffett, computer programmer Bill Gates, technology innovator Steve Jobs, steel investor Lakshmi Mittal, telecommunications investor Carlos Slim, airline owner Sir Richard Branson, technology entrepreneur Elon Musk, Formula 1 manager Bernie Ecclestone, media entrepreneur Rupert Murdoch, and poultry technologist Frank Perdue. ^ Cummings, Donald Wayne (1988). American English Spelling: An Informal Description. JHU Press. p. 277. ISBN 978-0-8018-3443-1. Retrieved 22 May 2012. ^ Goodheart, Adam (10 November 2010). "Return of the Samurai". The New York Times. Retrieved 22 May 2012. Lewis, Mark (December 13, 2001). "The Famous 15: America's Most Fascinating Tycoons". Forbes. "25 Tycoons Who Run the World". Business Pundit. October 6, 2010.